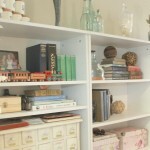 It’s Monday, and what better day to give you another sneak peek into our home? 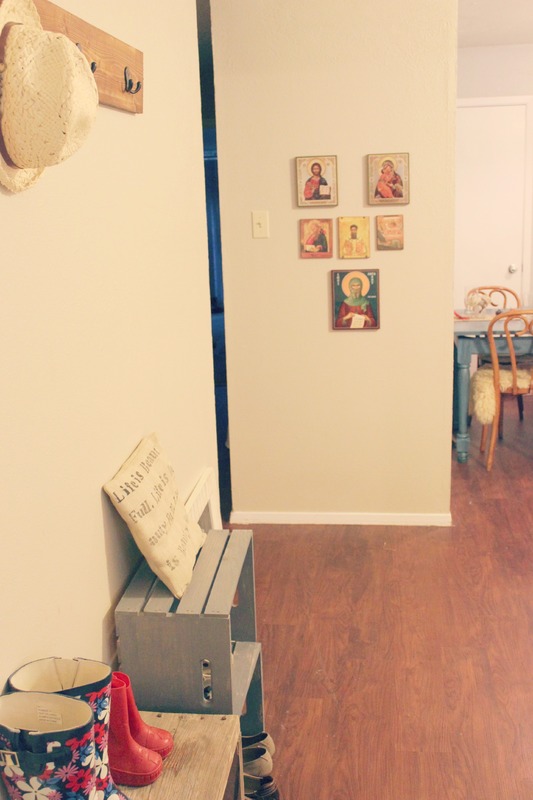 As you can probably tell from my Ikea coffee table hack and my burlap table runner post last week, I had a definite “rustic chic” vision for this townhouse. I really like mixing smooth and modern with rough and old, and these preferences have definitely translated into reality. For instance, right in front of this entryway set up, we have a white modern leather sectional! 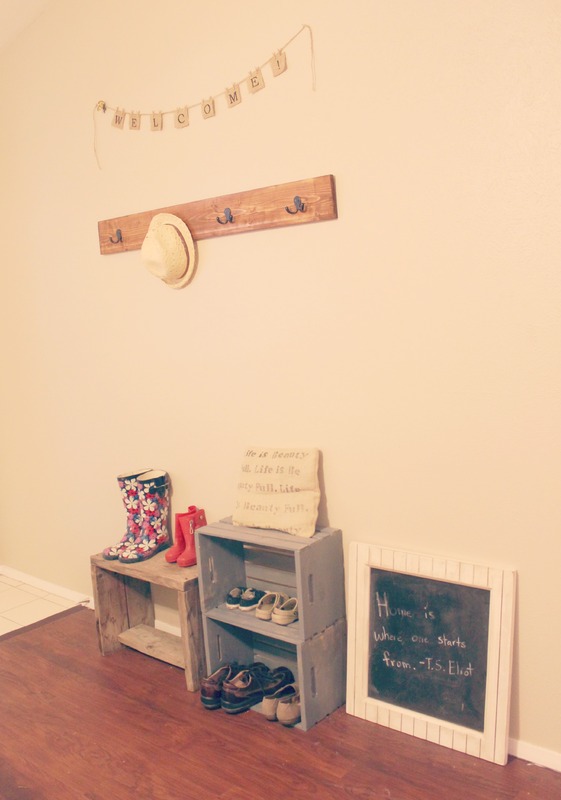 Although we almost always come in through the back door in our sunroom (since it’s where our carport is, right beyond the back yard), we often take walks and need our shoes, umbrellas and rain boots nearby the front door. I also wanted a place where guests could sit down and take their shoes off, or hang their purse away from prying toddler fingers. 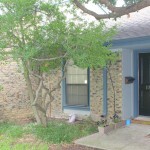 If you were to walk through our front door, this is what you’d see. To the immediate right is our living room (coming soon!) with the sleek white couch I was just mentioning. 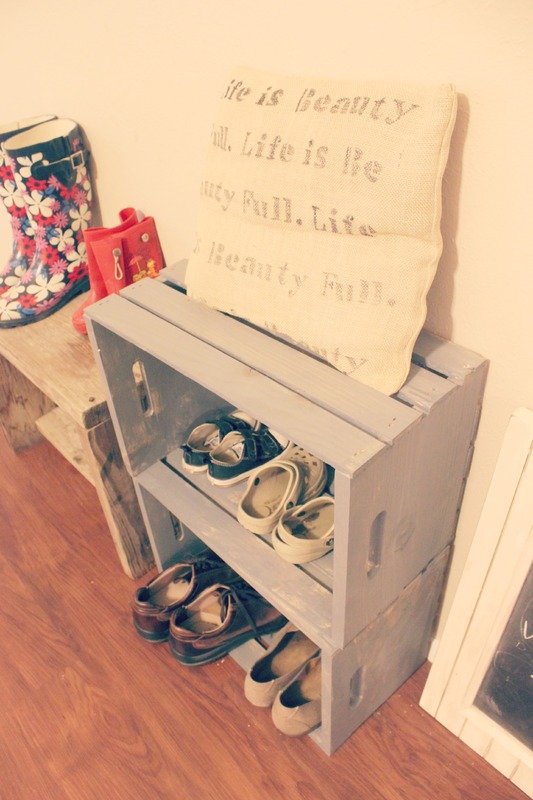 I picked up a few milk carton crates at Home Depot and gave them a gray weathered stain. I made the Burlap Pillow myself using this tutorial. 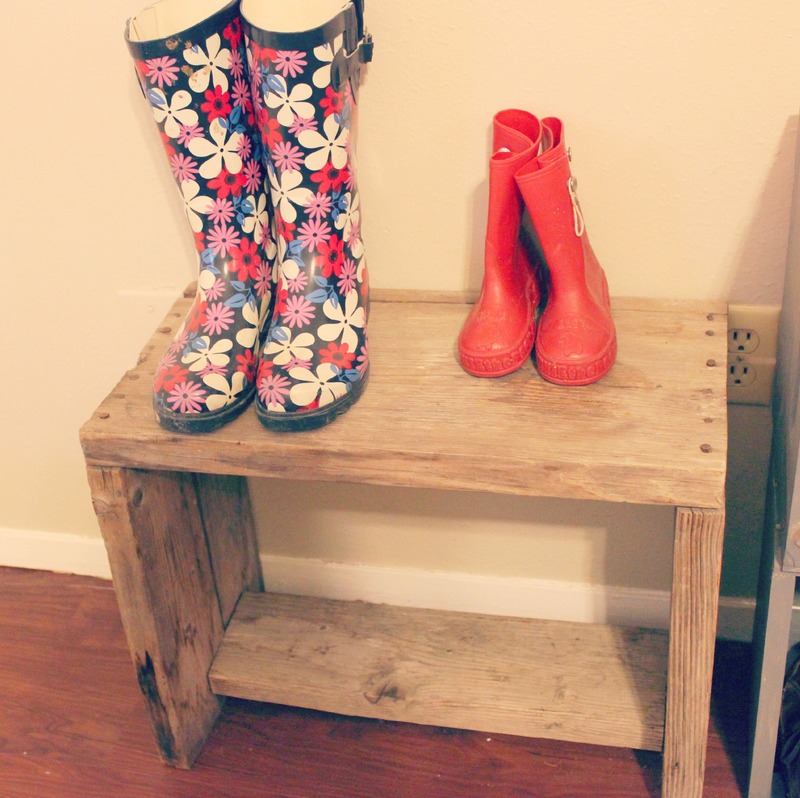 I got this rustic bench from someone on Craigslist for $10. This thing was not just “made” to look old, it is really really old, made from 100 year old barn wood! The real deal. 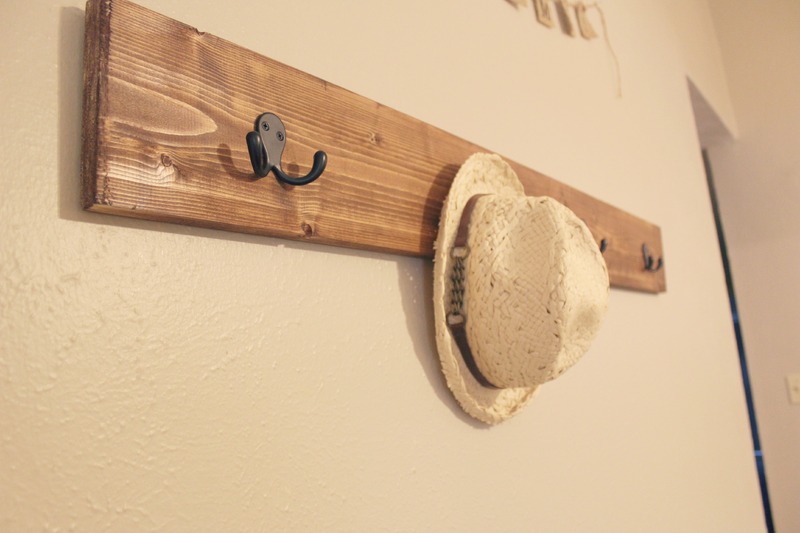 Every rustic coat rack I could find was really expensive, so I just threw together my own using a $6 board from Home Depot cut to the length I wanted. 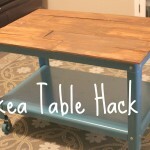 I stained it using the same wood stain I did our Industrial Ikea coffee table with, and then threw some hooks on it. 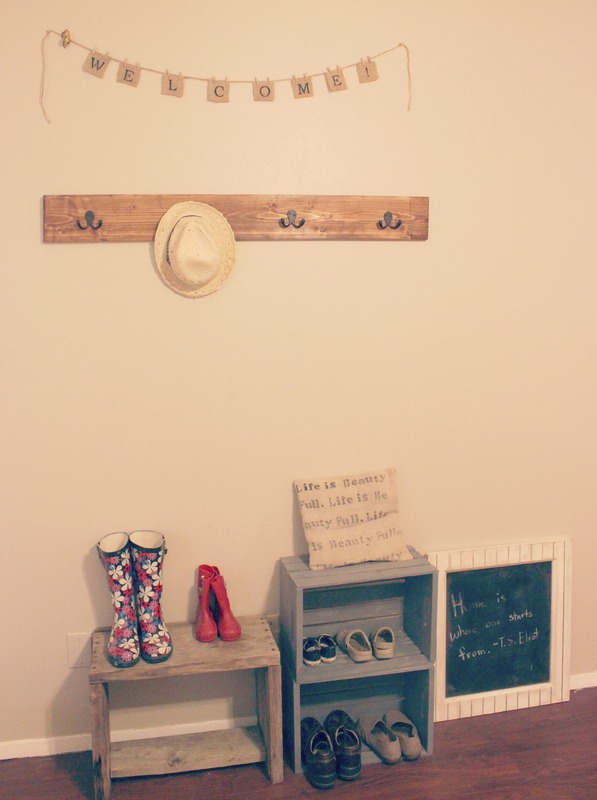 I got the burlap “Welcome!” sign off of Etsy around 8 years ago, and I am no longer able to find the seller. Sorry! 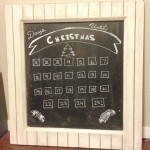 The cottage chalkboard is another vintage find from 7 or 8 years ago. Now, all that’s left is for you to come over and stay a while!